The No. 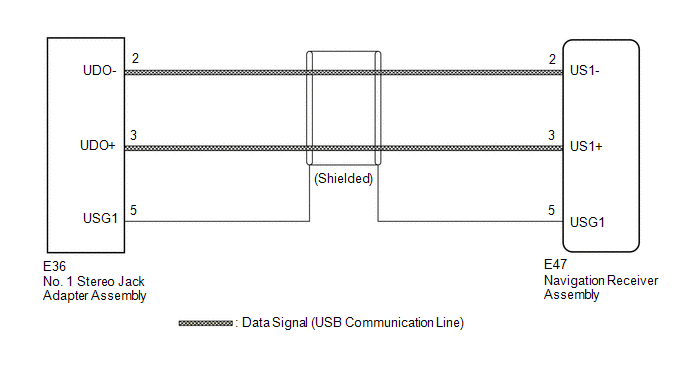 1 stereo jack adapter assembly sends the sound data signal or image data signal from a USB device to the navigation receiver assembly via this circuit. 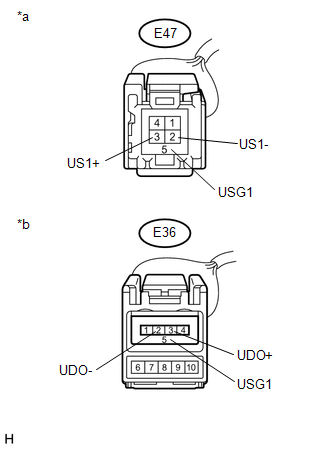 (a) Disconnect the E47 navigation receiver assembly connector.